When you take it out of its box, you can feel the handmade quality of the Pana Chocolate bar. It’s soft to the touch – unlike conventional chocolate bars. The texture is thick but not creamy, making the rich chocolate taste stand out. It’s neither too sweet nor too bitter and you can really taste the rawness of the chocolate. 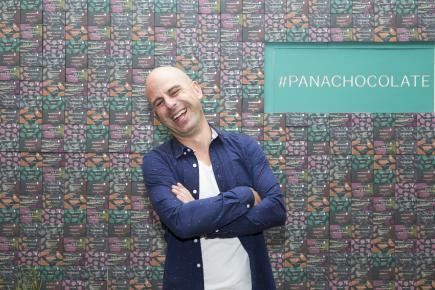 Founded in 2012, Pana Barbounis started his business to provide a rich, luxurious and guilt-free chocolate bar. Pana grew up in a migrant family in the western suburbs of Melbourne, Australia. He developed a passion for organic produce, a vegan lifestyle, sustainability and penchant for artisanal crafts at a young age. This was the inspiration behind Pana Chocolate. Pana Chocolate is now sold in over 20 countries in over 3,000 outlets globally, in Pana Chocolate shops and satellite stores. However, the business had quite humble beginnings – Pana made and packed each chocolate bar himself, and even rode his scooter to deliver them. Each bar is handmade from raw and organic ingredients. Besides the basic cacao powder and cacao butter, they use Himalayan pink salt, dark agave nectar and virgin coconut oil, among other natural ingredients. This ensures that each bar is dairy-free and gluten-free, and free from any processed sugars, without compromising the taste of the chocolate. What’s the difference between organic chocolate and regular chocolate – for example, in terms of quality and taste, or environmental and health benefits? All our chocolate is raw, organic and handmade. It’s prepared using a consistently low temperature; this produces a non-acidic chocolate that retains its naturally occurring nutrients and antioxidants. 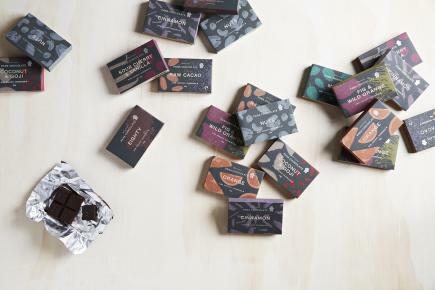 Our chocolate is also vegan, organic, and packaged in 100% eco-friendly materials, so we’re kind to the earth as well. Tell us about what makes Pana different from other raw, organic chocolates, from your perspective. There wasn’t a great tasting chocolate that could suit each person’s dietary requirements and allergies, so we created our recipe to meet that need. Besides this, our chocolate is rich, smooth and velvety, quite unlike any other raw, organic chocolate available and the flavours are something a little unexpected. Also, when people see our packages, we want them to know that we care. When they unwrap a bar, we want them to feel the love we have put into making it. Don’t ask me to pick a favourite – I can’t differentiate between my kids. I do have a soft spot though for Sour Cherry & Vanilla. 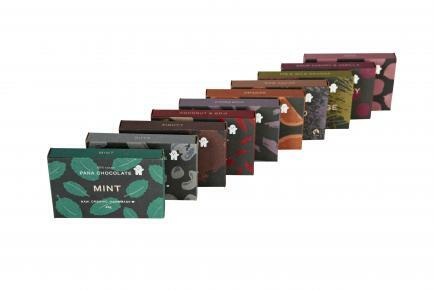 Pana chocolate comes in a myriad of flavours ranging from fruity to rose to rich dark chocolate. I picked up their raw cacao flavor, which is 60% cacao, and it’s definitely quite different from other chocolate bars. Find out more at www.panachocolate.com.